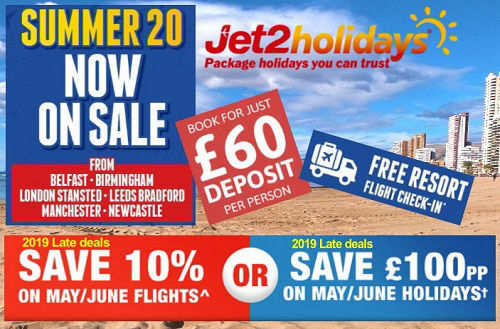 SAVE up to £100pp with Jet2holidays and pay just £60 deposit. Grab 20% OFF Travel Insurance. Book the cheapest Alicante Airport Transfers from only 5€ each way. Book your Benidorm holiday with 100% ATOL financial protection! 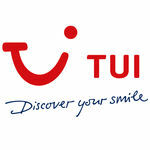 Top UK travel agents and tour operators. 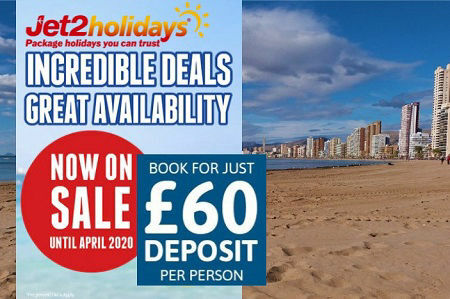 Book a low deposit 2019 or 2020 holiday in Benidorm Spain. 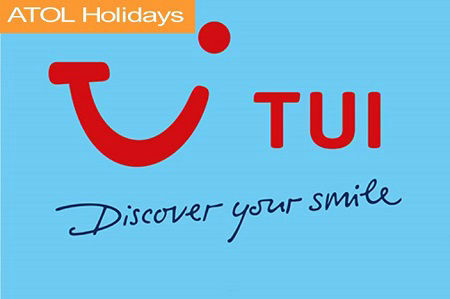 7 nights from £299 at TUI, First Choice, sunshine, easyJet holidays, ontheBeach and the BEST BUY Jet2holidays. The newest luxury hotel in Benidorm. The Presidente is a superior quality hotel in the center of Benidorm. Following a total rebuild and upgrade in 2018 this is a top choice for a 2019 or 2020 Benidorm Holiday. Book as part of a package holiday or just the hotel. Just a hotel? 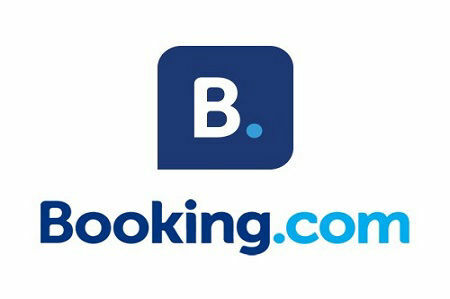 Book now pay later and free to cancel on many hotels! With over 300 Benidorm hotels and self catering apartments Hotels.com is a perfect choice to find a place to stay that is right for YOU for a top value holiday hotel or self catering apartment in Benidorm and Spain. 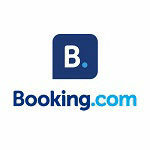 More choice than any other booking site. Lots of pay on arrival deals! 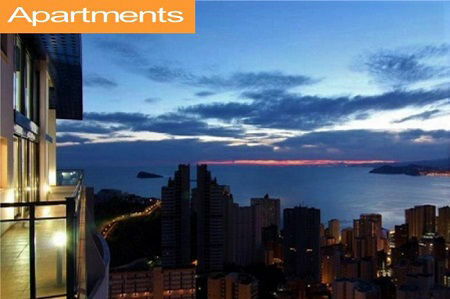 400+ Benidorm hotels, apartments and private lets. Endless possibilites to locate fantastic value hotels in Benidorm. 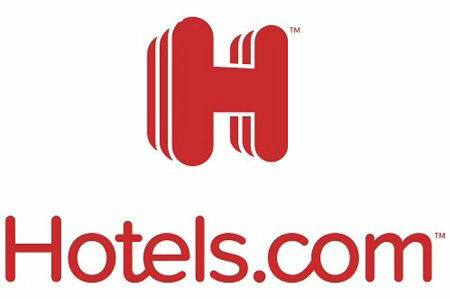 Cancel free at most hotels if your plans change! A name you can really trust to sleep well. 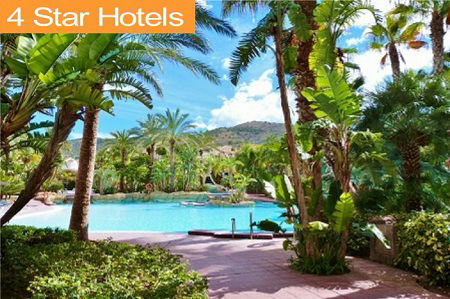 Costa Blanca five star hotels are for those who like top class attentive service in amazing and luxurious surroundings. 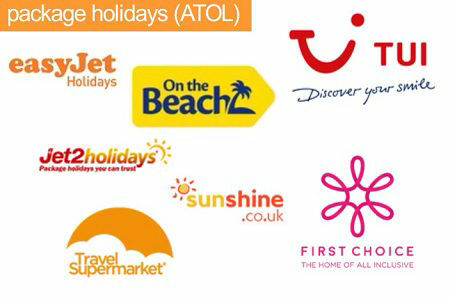 Book a hotel or buy direct from tour operators for ATOL protected holidays. 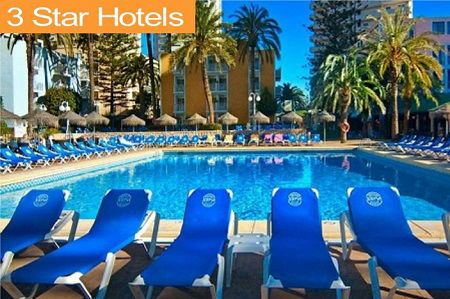 A perfect choice of quality hotels from the top selling best four star hotels in Benidorm. Book just the hotel or a package holiday ATOL protection included from top UK travel agents and tour operators. Three star Benidorm hotels are top sellers for affordable holidays in Spain. Perfect for couples and all the family. 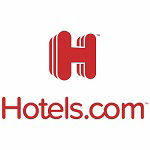 Hotel deposits from just £1 or book a flight plus hotel together and save money. 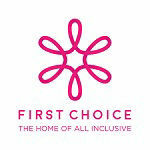 Great choice that will not cost you the earth! 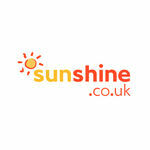 Choose from two star Benidorm hotels, small Pensions or Benidorm Guest Houses. Perfect for independent travellers on a budget. Ideal for a few nights stay. When it comes to value there is no better choice than a self catering holiday apartment in Benidorm. Makes for a very affordable holiday for families and couples. From no-frills to nice posh places with sea and beach views! Sometimes you just want some grown up time. Here are our top choice hotels for adult only Benidorm holidays. We selected quality hotels in Benidorm for Costa Blanca adult only breaks. Ideal hotels in Benidorm without the kids! 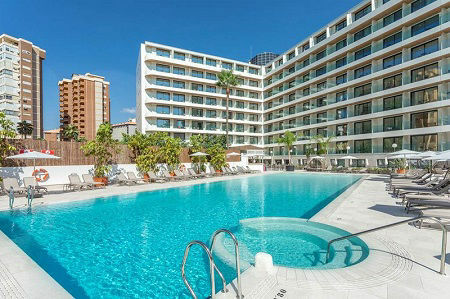 We have picked some good all inclusive Benidorm hotels to suit most styles and budgets. 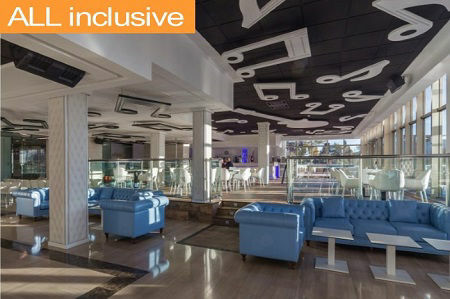 Enjoy a luxury familiy all inclusive holidays, good value 3 and 4 star hotels and old town all inclusive hotels with roof top pools close to the beach. Carefully chosen family hotels for a perfect Benidorm holiday. 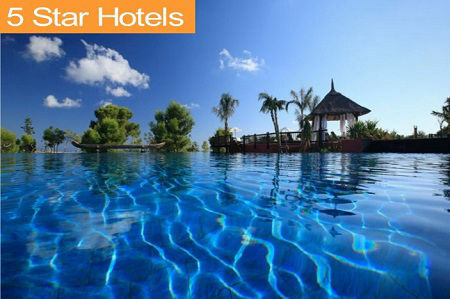 Choose beach hotels, smart luxury lodges with theme parks and waterpark included. Quality hotel resorts and quiet low-rise hotels for holidays with grown ups plus the kids! Book ANY Benidorm hotel or combine with ANY flight to build an ATOL protected holiday in Benidorm. Easily add luggage and transfers. 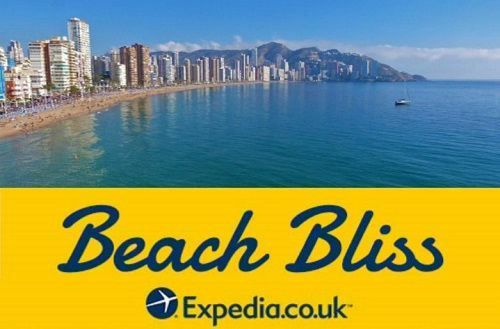 Quick to book and find cheap hotel offers in Benidorm and Costa Blanca deals and bargain hotels in Spain from £1 DEPOSIT. Top offers for Winter and Summer 2019. Choose top all inclusive Benidorm hotels for good value all inclusive holidays with total ATOL protection for peace of mind, ABTA members. 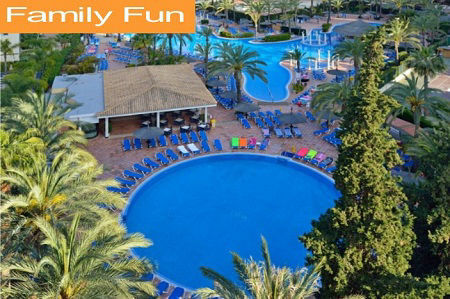 Book with a small deposit for summer 2019 and 2020 Benidorm holidays, family and adult only hotels. LAST MINUTE from £319pp. ABTA/ATOL. 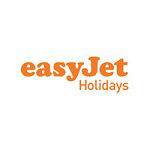 One of the best for great value packge holidays to Spain, choose from 75 top selling Benidorm hotels. With over 1 million seats to Alicante plus tiny £60 deposits it is a perfect time to book a Costa Blanca 2019 or 2020 summer holiday. Look for kids go FREE places & exclusive FREE resort check-in. 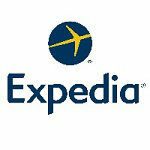 ALICANTE FLIGHTS & ALICANTE TRANSFERS. 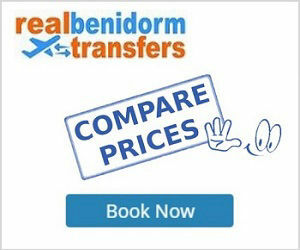 Benidorm cheap holidays and the top 150 hotels in Benidorm to meet your budget and travel style! Book Just a Benidorm hotel, self-catering apartments, an Alicante flight or pic-N-mix to build your own cheap holiday in Spain and add an Alicante airport transfer to wrap it all up. Book a financially protected (ATOL) Benidorm package holidays for total peace of mind. Benidorm Winter 2019/2020 holidays are now on sale. 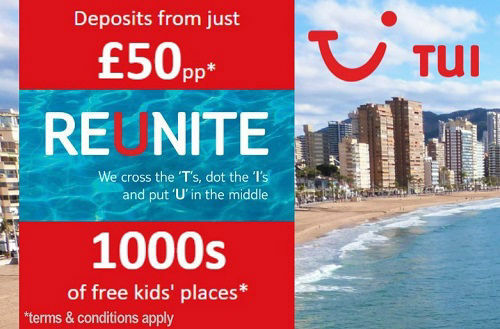 Plus Benidorm summer 2020 holidays with low deposits from just £60 per person with Jet2holidays and TUI Holidays. are nopw available with lots of FREE kids places Have a great break in Benidorm, home of classic Costa Blanca family holidays, short city breaks in Benidorm, cheap weekends in Spain. 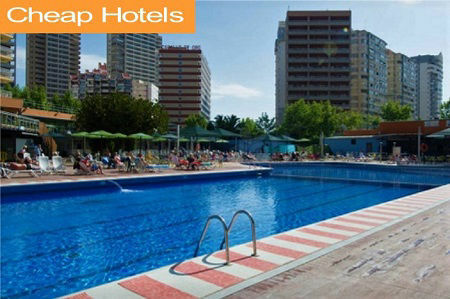 Also now a top choice for Gay holidays in Benidorm Spain. For top choice Benidorm hotels and holiday ideas see our weekly Benidorm Holidays BLOG. Need extras? Find great offers on airport transfers, Alicante airport car hire and travel insurance.